WE are fathers, brothers, and friends here to help take baseball in pg to the next level. We here at Northern Baseball Training strive to make a contribution to the baseball community by bringing quality & passion back into the game. We teach the fundamentals of baseball at any skill level or age focusing on the value of hard work and perseverance. Doug Clark, Chris Clark and Brandon Hunter are a family who grew up on the baseball field together, starting from little league to the PG Knights, then to college ball at Thompson Rivers University where they all won national championships. They were also among few local players to play in the World Baseball Challenge in Prince George. After TRU, Brandon continued his baseball career with Rijo Baseball Academy, Okotoks Dawgs, Campbellsville University, and finished with pro ball in Australia. 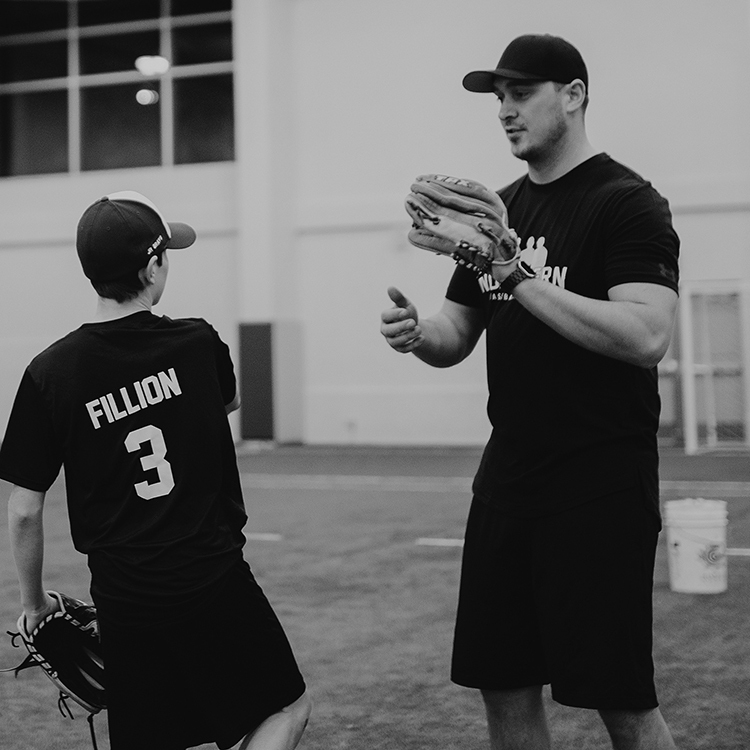 He also has been involved with teaching youth in the Prince George baseball community for the past 6 years. "What a great camp! My son had a awesome experience this weekend. He said all three coaches were very approachable, knowledgeable and fun. The guys really seemed to connect with the kids on their level and took the time to talk to the kids individually. Means a lot to these kids to get advice/tips/compliments from these experienced and professional ball players. Will be back for more camps!" - Shannon H.
"What an amazing camp! My son had such a great time. I feel he came away with some great batting tips and instruction. I like how you kept them always on their toes. Thank you for your time and offering your skills to help out kids in Prince George!" - Nichole G.
"What an amazing winter camp!!! You guys rocked it! Our son had a great experience and wants to do it again! Doug Chris and Brandon are the real deal. Amazing with the kids, they were patient and tolerant yet tough and firm. Thanks again. We were happy to be a part of the very first Northern Baseball Training Winter camp!" - Sandra D.
Next camp will be announced soon! But in the meantime, register for our small group training sessions!